Alleluia Panis is an American Pilipino director, choreographer, and non-profit arts leader. She has created over twenty full-length dance theater works that have been presented on stages in the United States, Europe, and Asia. She has received numerous awards, including the inaugural Artistic Legacy Grant from the San Francisco Arts Commission in 2017 and the Wallace Alexander Gerbode Commission for Choreographers for her 2019-2021 dance and film project, ‘In the Belly of the Eagle’. She is the Artistic and Executive Director of Kularts, the nation’s premiere presenter of contemporary and tribal Pilipino arts. Her dance film, ‘She, Who Can See’ was a officially selected and screened at the 2018 CAAMFest formerly known as the SF Asian American International Film Festival. 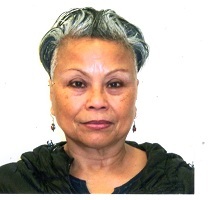 She served as member of National Performance Network’s Artists Committee, and as a board member of Asian Pacific Islander Cultural Center, Brava! For Women in the Arts, Yerba Buena Gardens Festival, and Dance Bay Area. She’s an active member of San Francisco’s SOMA Pilipinas, Filipino Cultural Heritage District. Barry Hughson has served the performing arts field for 25 years as a professional arts executive. In 2014, he joined The National Ballet of Canada as Executive Director. Since that time, the company has continued its trajectory of artistic growth, fiscal responsibility, community engagement, and international presence, including landmark tours to New York’s Lincoln Center and the Théâtre des Champs Elysées in Paris. Mr. Hughson was previously Executive Director of Boston Ballet. Under Mr. Hughson’s leadership, Boston Ballet achieved several key milestones, including the retirement of its long-term debt, completing a major renovation of the ballet’s headquarters, international tours to Canada, Spain, Finland and the UK and significant increases in annual earned and contributed revenue. As an arts advocate, consultant and educator, Mr. Hughson has had teaching and speaking engagements in the USA, Europe and South America. He serves on a variety of industry boards, including Dance/USA, North America’s largest service organization for professional dance. In January 2015, in partnership with Dance/USA, Mr. Hughson spearheaded the first ever meeting of North American and European executive dance leadership, bringing together 22 administrators from nine countries. In Canada, Mr. Hughson serves as Vice-Chair of the National Council for the Canadian Dance Assembly and served on the Steering Committee for the Canadian Arts Summit from 2014 to 2017. Mr. Hughson began his career as a dancer with The Washington (DC) Ballet, where he performed classical and contemporary repertoire at the Kennedy Center and on tour throughout the world. As a child in suburban Chicago, Greg ran a makeshift theater out of his garage and sold more mints than anyone else for his local YMCA. And as an adult, he turned those passions into a career raising funds for the cultural organizations he loves. At the Chicago Department of Cultural Affairs; the Art Institute of Chicago; the Museum of Contemporary Art, where he rose to the role of Deputy Director and Chief Development Officer; and WTTW/WFMT, where he served as COO, Greg dedicated himself to supporting art and artists and to creating meaningful experiences for others. Today, Greg leads the Joffrey’s efforts to support unforgettable productions and new commissions, reach out to organizations and communities across Chicago, and open up world-class ballet for audiences from all backgrounds. 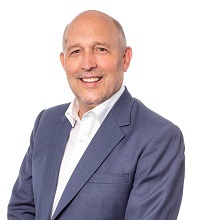 Greg serves on the Board of Trustees for Dance/USA, currently acting as Council Chair for the Managers’ Council for Large Budget Organizations, while staying an active member of the Chicago cultural community, volunteering for a wide range of nonprofit organizations and civic committees. These include Enrich Chicago, Forefront, and the UIC Chancellor’s Leadership Board, as well as the School of the Art Institute of Chicago Fashion Committee, the UIC Visiting Committee—College of Architecture and the Arts, Terra Foundation's Art Design Chicago Advisory Committee, and Choose Chicago. Greg also serves as a State Street Commissioner. From Evanston, Illinois, Julie Nakagawa was a featured dancer with Christopher D’Amboise’s Off Center Ballet, Cleveland Ballet, and Twyla Tharp Dance. Returning to Chicago upon her retirement from dancing, she has been especially interested in the development of dance artists and their related artistic collaborators. At the invitation of Lou Conte, Julie joined the staff of Lou Conte Dance Studio in January 1994 and rose to the position of Associate Director. In addition, she led Hubbard Street 2 from its inception in 1997 through February 2007 as the artistic director of the second company of Hubbard Street Dance Chicago, nurturing young dancers and establishing the National Choreographic Competition to provide creative opportunities for emerging dance makers. A sought-after teacher, Julie has taught classes for dance studios, university programs, and companies, nationally and internationally. She has served as a member and officer of the Board of Trustees of Dance/USA, has engaged as a mentor in Dance/USA’s Institute for Leadership Training, and has served as a panelist for numerous peer review panels including the National Endowment for the Arts. 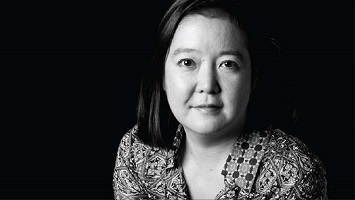 The Chicago Foundation for Women’s Asian American Leadership Council has honored Julie for her work in the creative arts. Julie is a Co-founder and Artistic Director of DanceWorks Chicago, an artistic incubator focused on the holistic development of young creatives. Malik Robinson is the Executive Director of Cleo Parker Robinson Dance (CPRD), a not-for-profit cultural arts institution based in Denver, Colorado. As an internationally recognized arts organization, CPRD has served as a leader in preserving the rich heritage of legendary American modern dance choreographers. The organization is also distinguished for its arts-in-education and arts advocacy work. In his role, Malik directs a small administrative staff with an operational budget of $1.3M. As the primary funds developer for CPRD, Malik worked across sectors to develop partnerships that helped sustain and grow the organization. He was also the CPRD lead in forming the partnership with the Denver Housing Authority in the acquisition of $20M grant award from the Department of Housing and Urban Development. The grant supported the redevelopment of dilapidated housing that formerly surrounded the organization. Under his direction, CPRD has evolved into an anchor cultural institution and destination for dance in Denver with more than 25,000 visitors annually. Malik’s dedication to education and the arts led to the creation of the after-school program Aye (Yoruba for “Life”), developed to serve high-risk youth in northeast Denver. Through partnerships with the Aurora and Denver Youth Probation Departments, the project served an average of 125 teens per year. In 2015, Malik lead efforts to forge the Bachelor in Dance program in partnership with Metropolitan State University of Denver. The dance major is the first offered by any institution of higher learning in Denver. 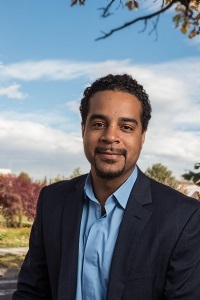 Malik serves on several boards and committees including the Scientific and Cultural Facilities District Inclusivity Fund Committee which is charged with developing the criteria for a $9M fund designed to increase cultural equity among Denver’s marginalized communities. He also serves on the Board of Directors for the International Association of Blacks in Dance, Colorado Business Committee for the Arts, Denver School for the Arts Friends Foundation, and is a Dance/USA Trustee. Malik is a Leadership Denver graduate, Livingston Fellow, and Association of Performing Arts Professionals Fellow. Malik earned his B.A. in African Studies from Regis University. 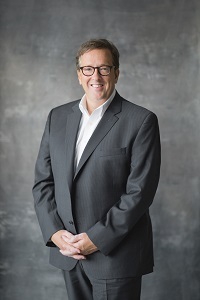 With over thirty years of arts related leadership, administrative, and practical experiences, Michael Medcalf continues to seek engaging, inspirational, and transformational educational and artistic opportunities where he can leverage his knowledge, skills and vast network to the benefit of the constituents and organizations that he serves. Various leadership positions in not for profit and private sectors, but particularly in academia as the director of Alabama State University’s BFA/Dance Program, has prepared Mr. Medcalf to engage with a vast range of artistic, administrative, and managerial responsibilities confidently, fearlessly, and with success. In these positions, vision, collaboration, community engagement/responsiveness, commitment to advancing knowledge, and advocacy have been hallmarks of his tenure. In addition to his leadership skills, he has provided organizations with strong and proven administrative skills: developing fundraising plans, grant writing, the ability to proficiently use Google, Apple and Microsoft applications, documents and forms, engagement with a variety of social media platforms, website development, excellent typing skills, SMART goal setting, as well as the ability to develop program evaluation and assessment tools. As a part of his on-going professional development, in the Spring of 2013, received a Master of Fine Arts degree in dance from the University of Iowa in Iowa City, Iowa. In 2016, he was awarded the Alabama State Council on the Arts’ Fellowship for Dance and was selected for leadership mentoring as apart of Dance/USA’s Dance Institute for Leadership Training. Currently, He serves as the Vice-President/President Elect of the Alabama Dance Council, a statewide dance service organization, on the Next Generation Board of the International Association of Blacks in Dance and on the board of Cleveland Dance Movement located in Cleveland, Ohio. Mr. Medcalf has also contributed his time by serving on grant review panels for statewide arts service organizations such as the Alabama State Council on the Arts and the Ohio Arts Council. 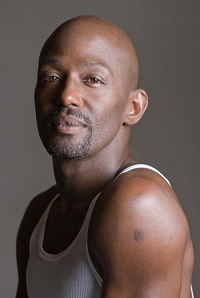 As a professional dancer, he has been a member and guest artist with numerous professional companies; Alfred Gallman’s Newark Dance Theatre (Newark), Ballethnic Dance Company (Atlanta), Cleo Parker Robinson Dance Ensemble (Denver), Dancing Wheels (Cleveland), David Taylor Dance Theatre (Denver), Groundworks Dance Theatre (Cleveland), Kim Robards Dance (Denver), Lula Elzy Dance Theatre (New Orleans), Several Dancers Core (Atlanta), Ohio Dance Theatre (Oberlin), and Verb Ballets (Cleveland). His own endeavors as founder/artistic director include the Cleveland Contemporary Dance Theatre (Cleveland) and the Greene/Medcalf Movement Project (Cleveland). Currently, he develops solo and duet projects for the stage and camera for Michael Medcalf/INVENTIONS (Montgomery). Rhonda Greene is executive director of Heritage Works, a Detroit-based cultural-arts organization with a mission to promote youth and community development through cultural traditions, arts and education. Her favorite work experiences include: coordinating the creation and installation of the International Underground Railroad Memorial (Detroit, Michigan and Windsor, Ontario); consulting on the audio tour for Kelly Ingram Park (Birmingham, AL) and National Black Arts Festival Folklife (Atlanta, GA); and interning for the Smithsonian Office of Folklife Programs (Washington DC). She is a graduate of Spelman College and Brown University. Stephanie McKee-Anderson is a performer, choreographer, educator, facilitator and cultural organizer born in Picayune, MS and raised in New Orleans. She is the founder of Moving Stories Dance Project, an organization committed to dance education that provides opportunities for dancers and choreographers to showcase their talents. In 2007, she was awarded The Academy of Educational Development/New Voices Fellowship, an award for emerging leaders. For the past 20 years Ms. McKee has been involved with Junebug Productions as an artist and educator. Most recently she served as Associate Artistic Director of the first annual Homecoming Project 2011, a place-based performance project that addresses the Right of Return and what home means to communities in post-Katrina New Orleans. 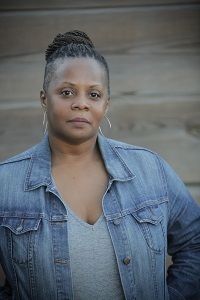 In 2006, Ms. McKee was one of ten artists who collaborated to create the original production, “UPROOTED: The Katrina Project,” co-produced by Junebug Productions. As an artist and cultural organizer, Ms. McKee is deeply committed to creating work that supports social justice and aligns with the FST and Junebug legacy. 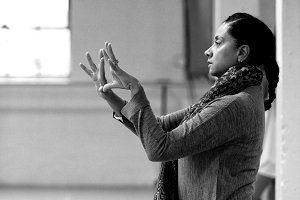 Toni Pierce-Sands (TU Dance Artistic Director). Prior to co-founding TU Dance, Minnesota native Toni Pierce-Sands performed with Minnesota Dance Theatre, Tanz Forum in Germany, Rick Odums in Paris, and Alvin Ailey American Dance Theater, where she was a featured soloist in such signature pieces as Revelations. 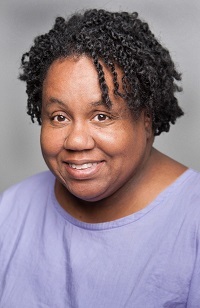 Toni has also appeared in the Twin Cities as a guest performer with Ragamala Music and Dance Theater, Shapiro & Smith Dance, VocalEssence, Stuart Pimsler Dance and Theater, and Robin Steihm’s Dancing People Company. Her command of the Horton Technique has led to teaching posts throughout the United States and Europe. Toni directs programming and teaches classes at TU Dance Center in Saint Paul and at the University of Minnesota, where she is also the Director of University Dance Theater. Toni was awarded a 2004 McKnight Artist Fellowship in Dance, named the Sage Awards’ “2011 Outstanding Dance Educator” and recognized with a 2013 Links Emerald Service Award for service in the arts. She was recently named as a 2015 USA Fellow, receiving this year’s Knight Fellowship in Dance together with TU Dance co-founder Uri Sands.